I finally got my hands on a pretty good looking barrister bookcase at a price I was willing to pay. 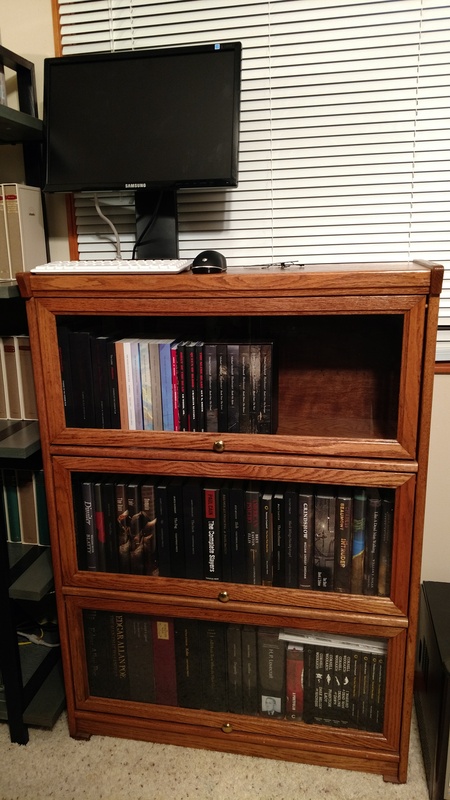 It’s now in the library and nearly filled with my Centipede Press collection. For those taking a note of which CP titles are included, there’s a full-size image on flickr. Also, the only two I have that aren’t in the photo are the Don Brautigam portfolio and the uber edition of Knowing Darkness, both of which are way to massive to fit on the shelves.